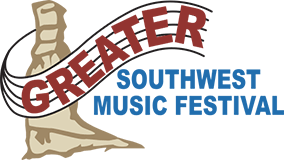 The Greater Southwest Music Festival is a competition in May for Bands, Orchestras, Choirs, Jazz Bands and Show Choirs. The adjudicators are the best in the their fields and are hired for the 3 day festival. Best in Class, Outstanding, and First Division Trophies are awarded. In June 2018, the Greater Southwest Music Festival, once a standalone non-profit organization, voted to come under the Amarillo Symphony’s umbrella.